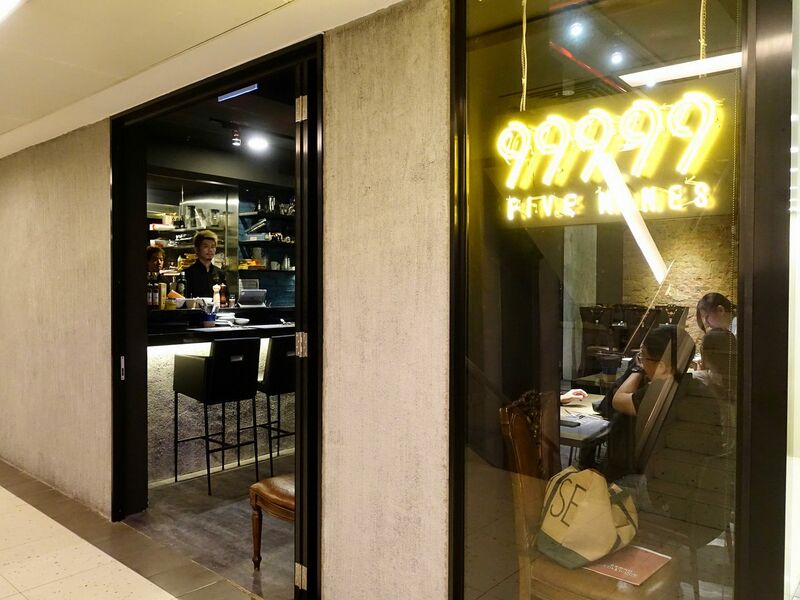 I remember Five Nines (999.99) for their mad-affordable and delicious European-Japanese fare when they first opened at Keong Saik Road (read my earlier review of Five Nines here). They have since moved to Cuppage Plaza and the previous location is taken over by sister restaurant Kyuu by Shunsui (a must read review here). The concept is still the same with a seasonal omakase that showcases ingredients that are flown in from Japan several times a week and the team is led by 37yo Head Chef Takashi Ohkawa (who already has 20 years of experience under his belt). Opened for dinner only, diners can enjoy the seasonal 6 course dinner set menu for only $49! 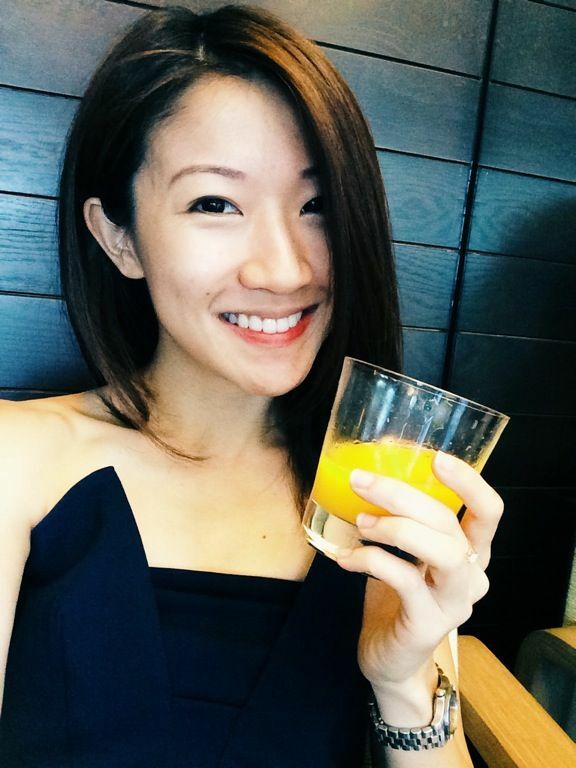 You'll only get to enjoy this if you make a reservation! A tapas style a la carte menu is available till 2.30am. The 6-course menu changes regularly but you can expect consistently fresh ingredients. The current menu is as follows. 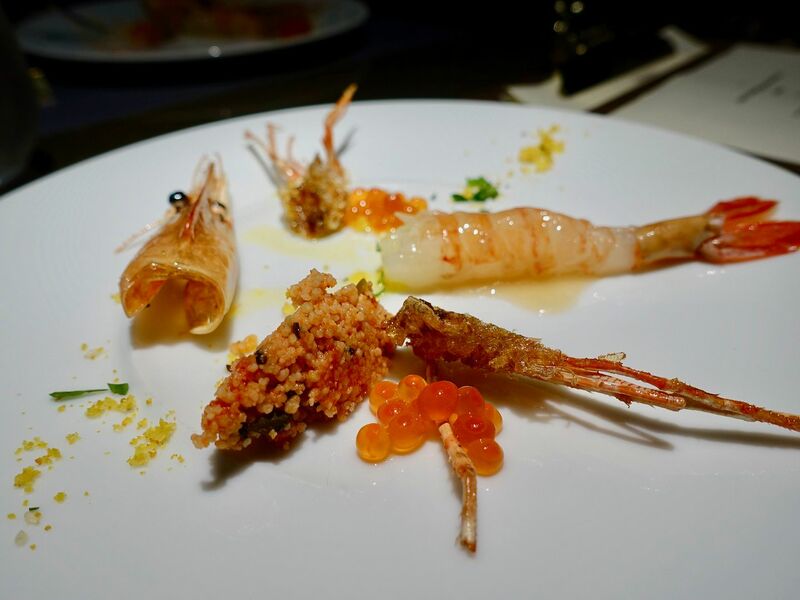 Marinated Botan Shrimp and CousCous Salad with Tosazu vinegar and salmon roe. 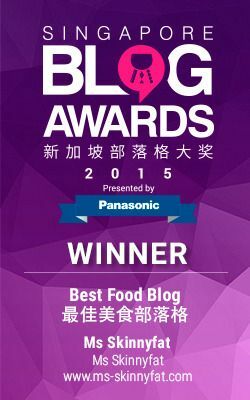 That Botan shrimp was super plump and sweet. The tomato flavored couscous also helped to prep our palate for the dishes to come. Next, the Foie Gras Terrine and Bruschetta with instant smoked orange jam. It was interesting how the smoked orange infused the liver so thoroughly in that short couple of seconds. However, i would love for more of the foie gras and not the airy croutons. 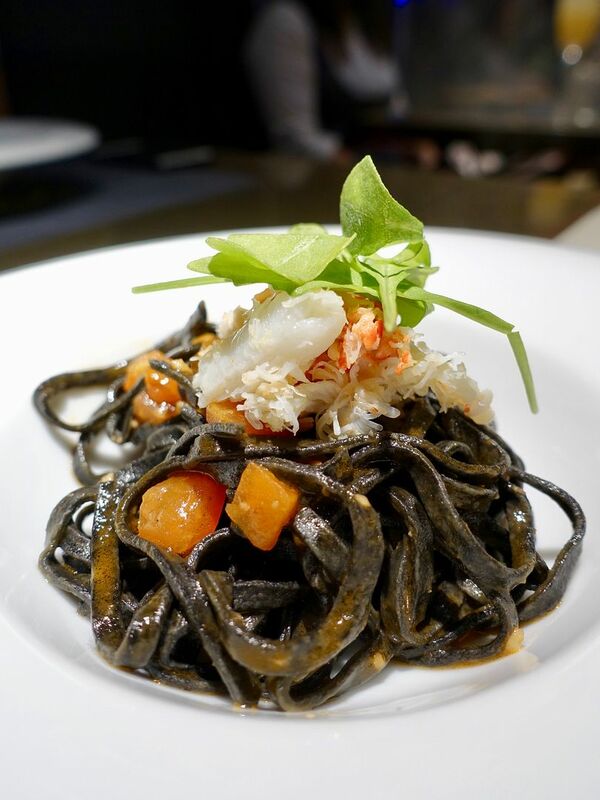 Favorite dish of the night goes to the Squid Ink Tagliolini in a langoustine sauce topped with snow crab. The freshly made pasta was springy and well flavored with a roasted garlic base and a rich umami seafood sauce. To top it off, refreshing shards of snow crab that is flavored with citrus. Give me a huge plate of this now. It's seldom that i polished every bit of any pasta dish so you know this is that good. I didn't enjoy the Steamed Cod Fish rolled with Parma Ham. 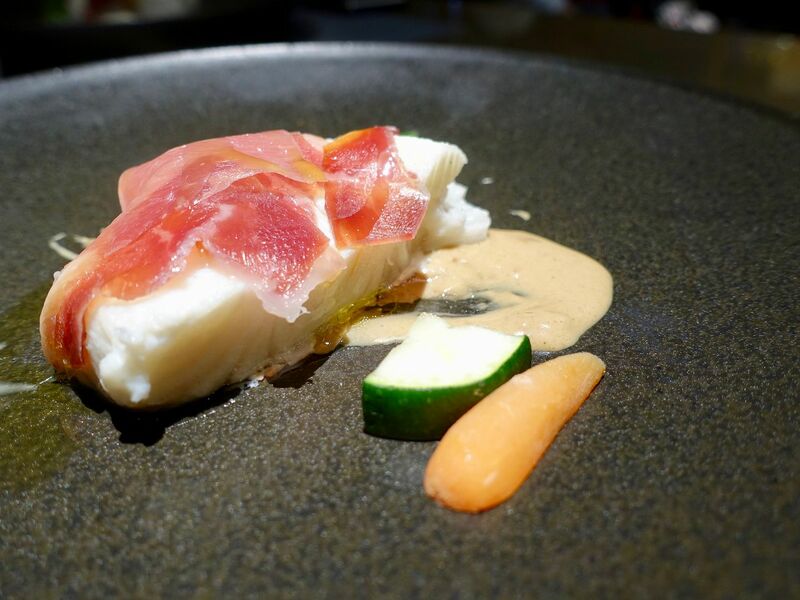 When steamed without any seasoning, the fatty fish oozed oil and the parma ham did little to flavor the meat thoroughly. Also, the porcini sauce brought out a strong fishy flavor, which was strange considering that cod is quite tasteless. The meat dish on the other hand was delicious. 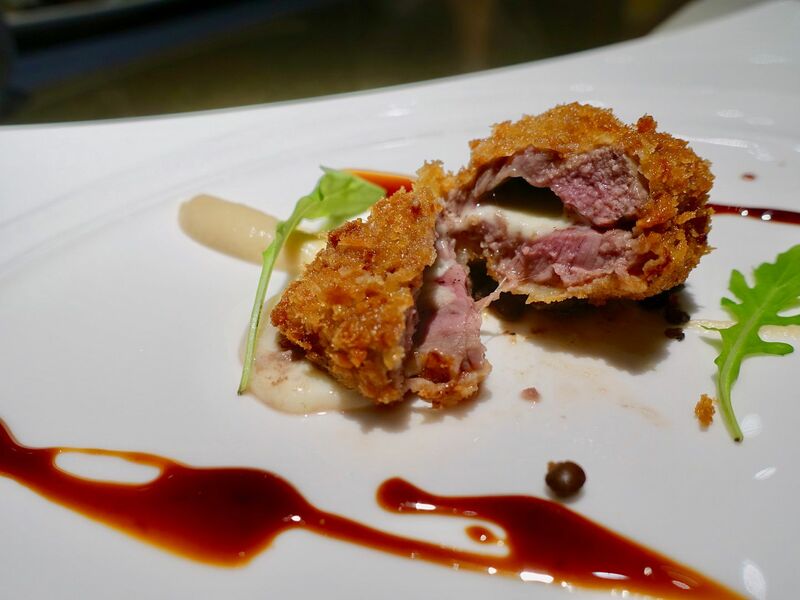 The fried breaded ball of Mozzarella and Lamb tenderloin was super tender and juicy and it was not at all gamey. I was surprised that the Japanese pepper had the texture of lentils and was not at all spicy. 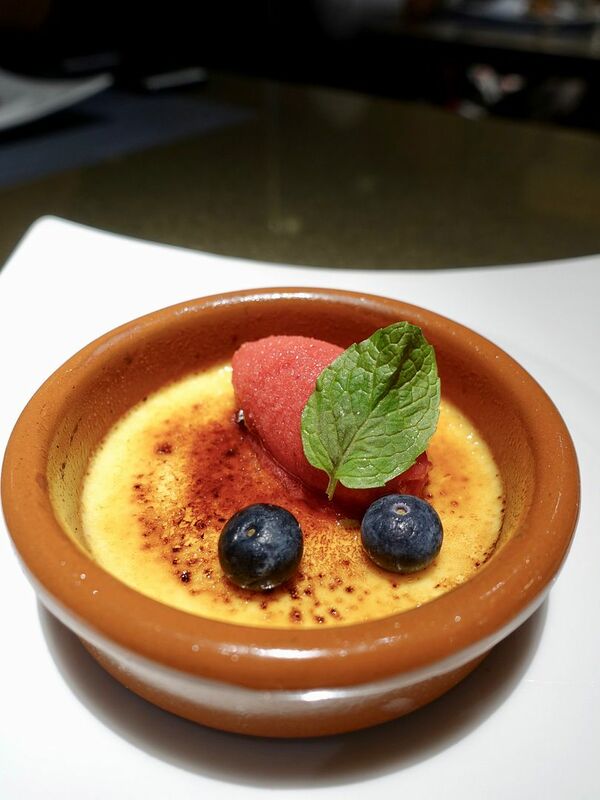 To end the meal, a Cream Brûlée with Raspberry Sorbet. I’m not a crime brûlée person but i love the egginess of the custard and it's like a HK/Macau style Portuguese egg tart. I would have it on its own or maybe with some ice cream instead of an icy sorbet though. Come for supper and grab a couple of tapas on the a la carte menu. Signatures on the menu include the “Hiroshima” Oyster with tosazu foam ($10); Kisu Fish Escabeche ($9), Tripes ala Romana ($14), and Octopus and Mushroom Ajillo ($15). They also do have pastas, pizzas, and meats if you're hungrier! I so wanna try the Cappellini with Sea Urchin and fresh tomatoes ($24)! Wines and whiskys are also available till late. Five Nines is definitely worth a revisit given the high quality ingredients and affordable price point.